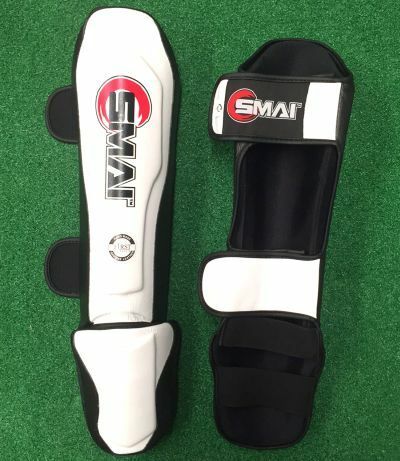 SMAI Thai Shin guards are produced with the highest grade leather available and have a superior level of shin and instep protection to others in the market. These shin guards are designed so that in training you can confidently kick any one or anywhere, check any kick without the fear of getting a sore shin or bruising. The Elastic underfoot strap has also been improved so that it will last through the wear and tear. Easy and simple to put on with 2 velcro strap closure system.